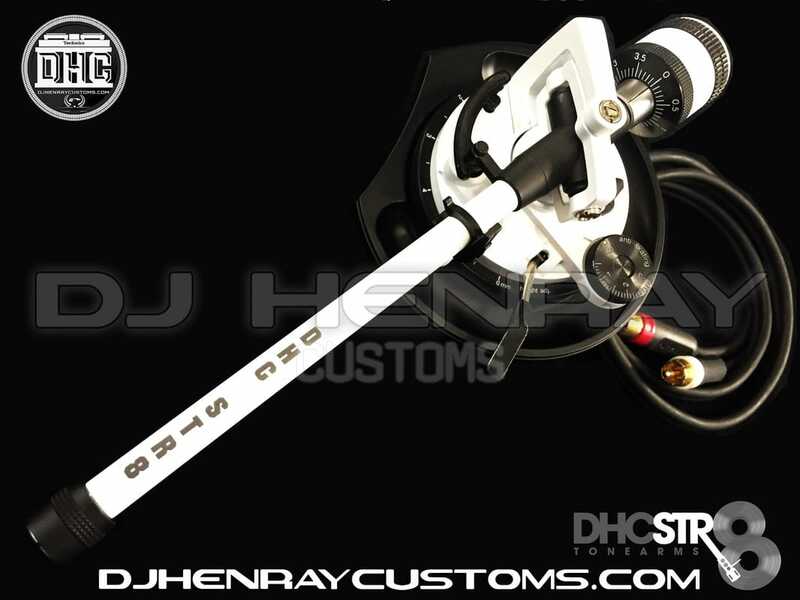 Technics S-Style Tone Arms and DHC STR8 Tone Arms. 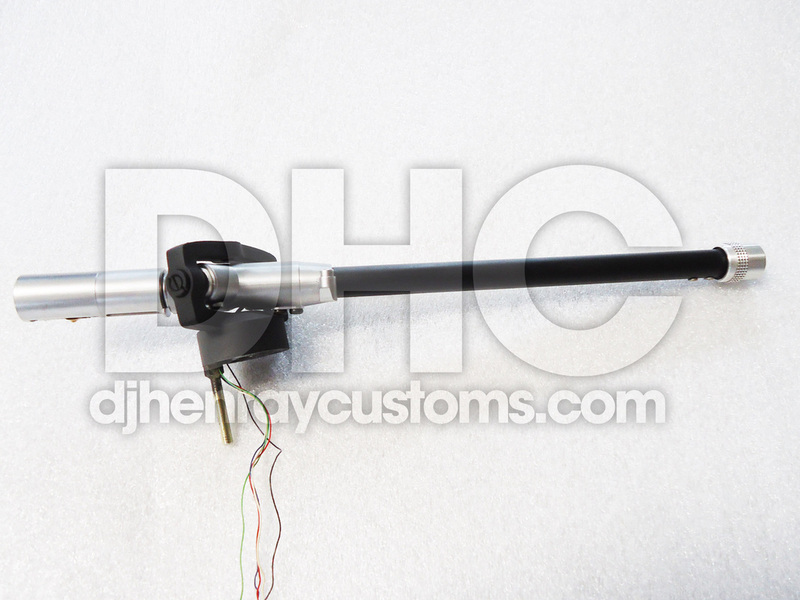 Here are various models of the Technics and DHC STR8 tone arms. 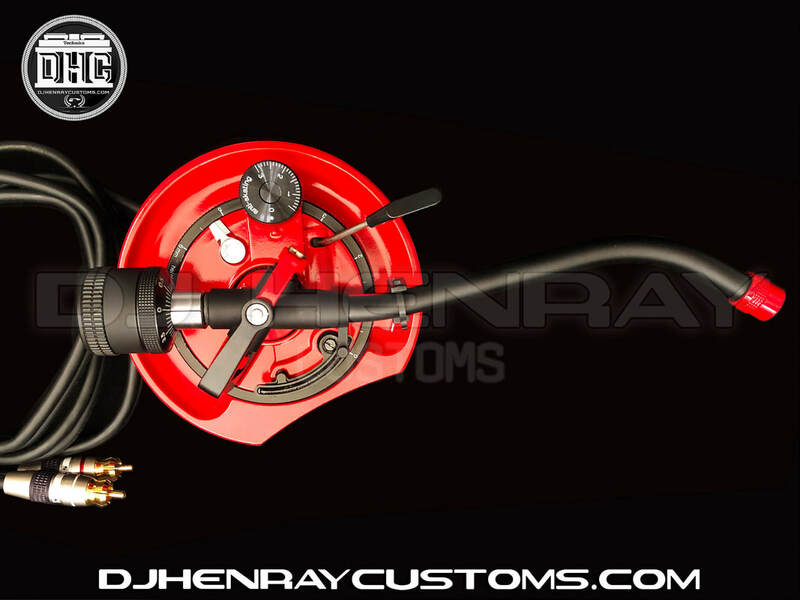 You can choose a complete assembly with RCA's and ground or optional internal ground. 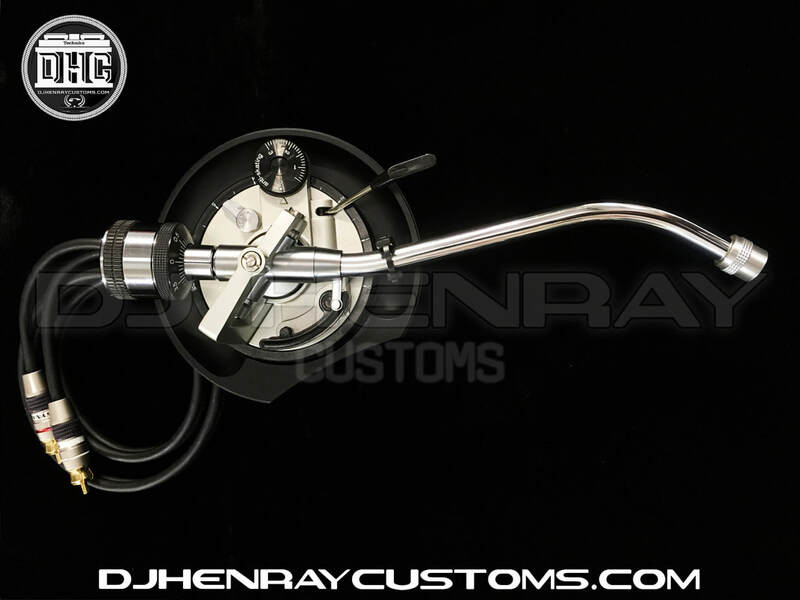 You can also just choose a bare tone arm without the bottom assembly if thats all you need. 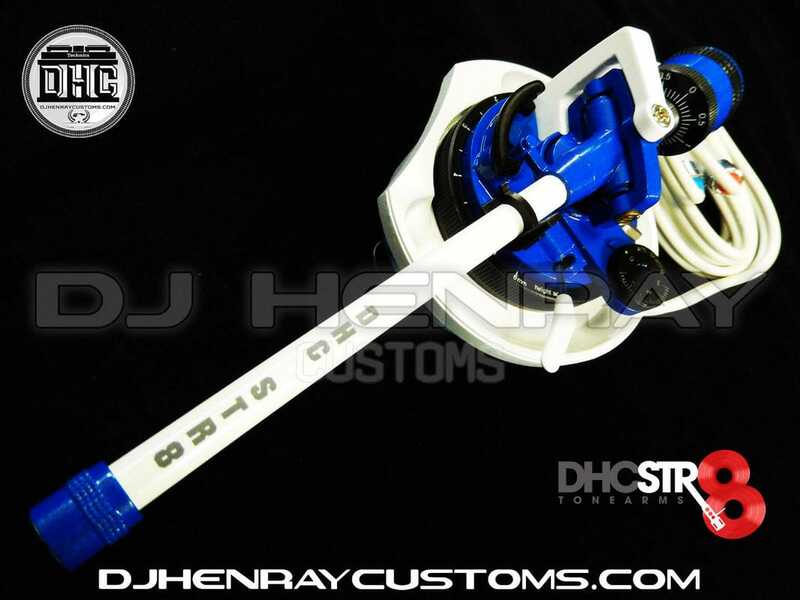 All tone arms can be customized to whatever color schemes you desire. You can use your own creativity or ask us for advice on color and options. 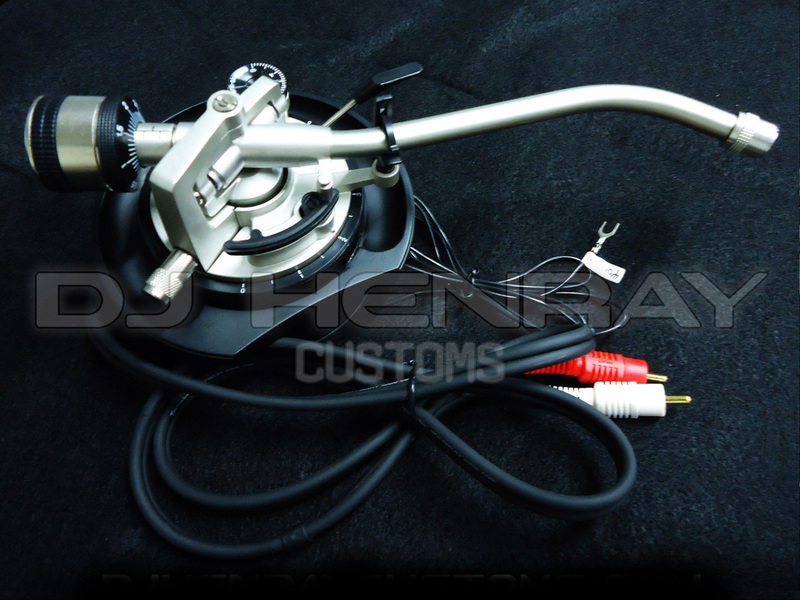 OEM Technics S-Style Tone Arm assembly complete with premium Black 24kt RCA's, internal ground and counter weight. 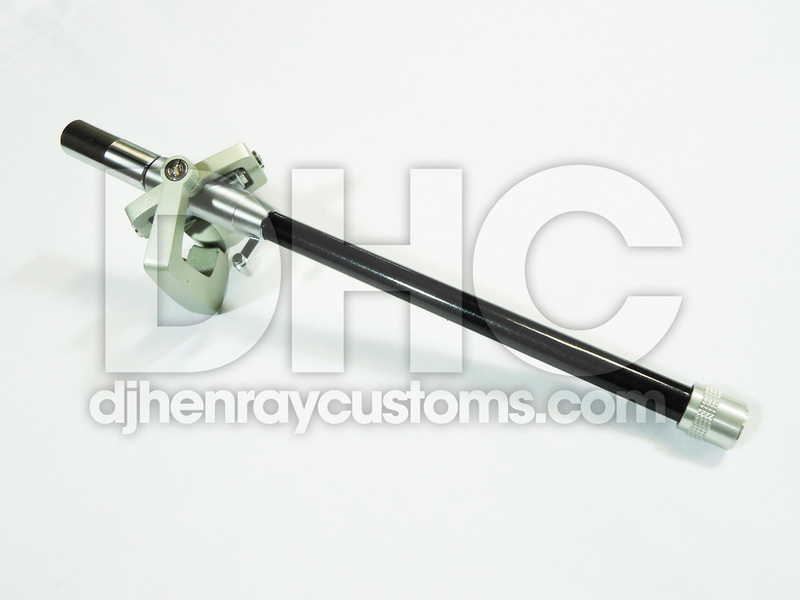 Technics S-Style Powder Coated Matte Black & Chrome plated Tone Arm assembly complete with premium Black 24kt RCA's, internal ground and counter weight. 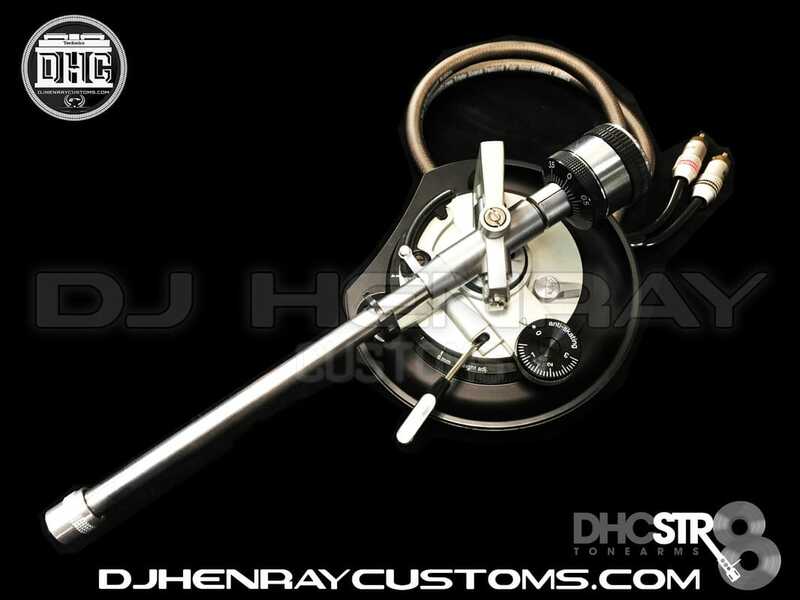 Technics S-Style Tone Arm assembly complete with gold plated RCA's, external ground and counter weight. 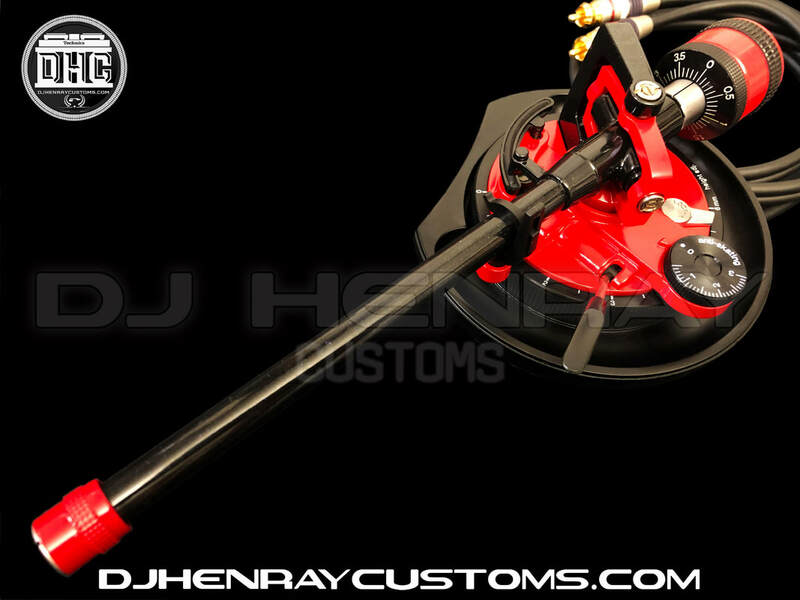 Technics S-Style Powder Coated Red/Matte Black Tone Arm assembly complete with premium Black 24kt RCA's, internal ground and counter weight. 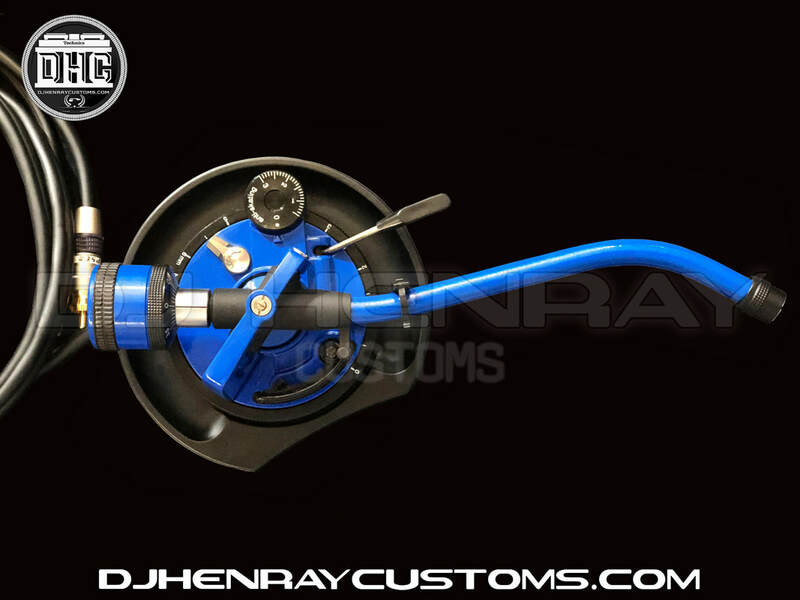 *Call or email us to choose your custom color options. 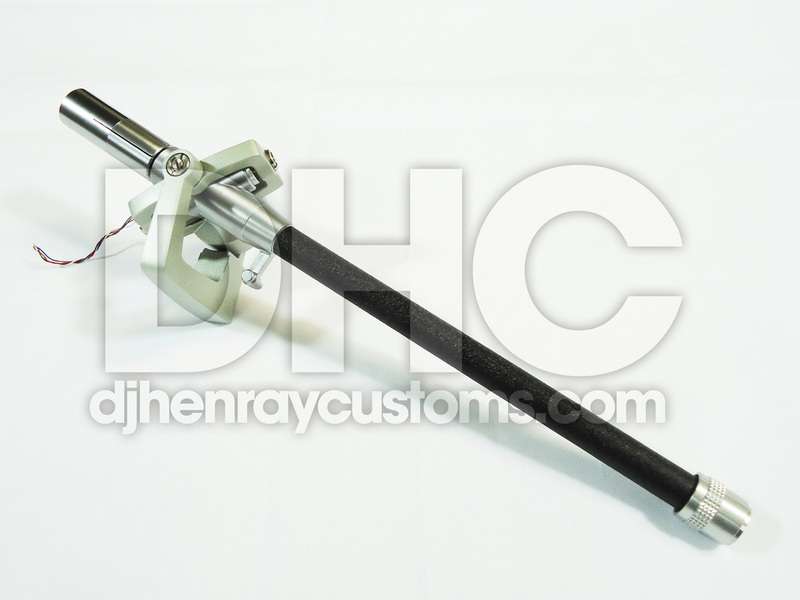 Technics S-Style Powder Coated Blue/Matte Black Tone Arm assembly complete with premium Black 24kt RCA's, internal ground and counter weight. 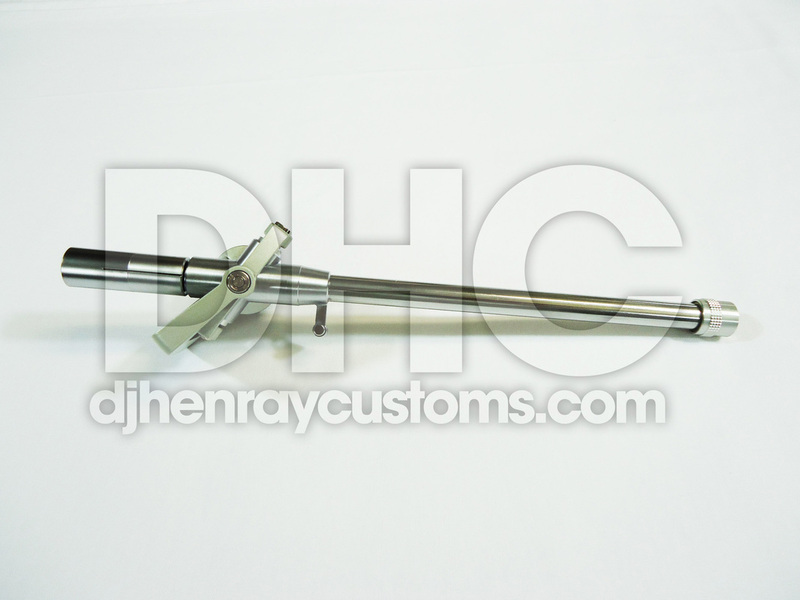 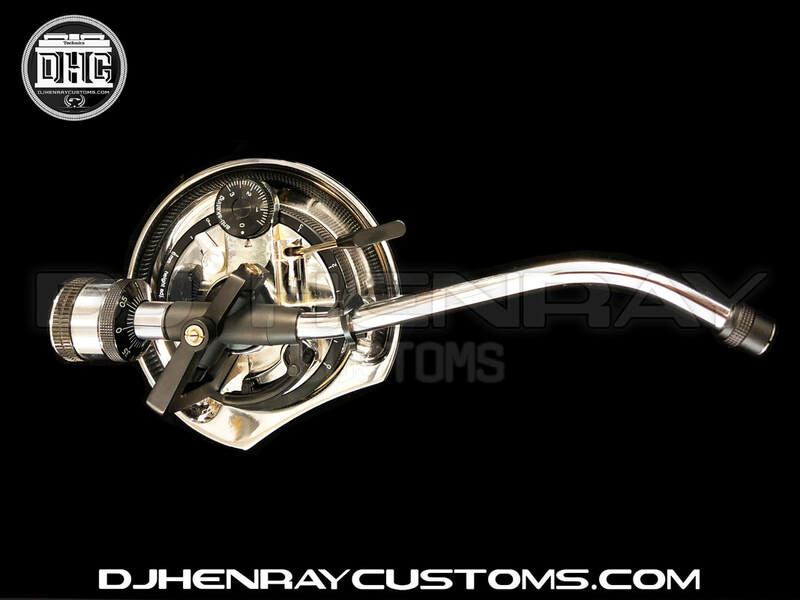 DHC STR8 Chrome Tone Arm assembly complete with premium Black 24kt RCA's and internal ground. 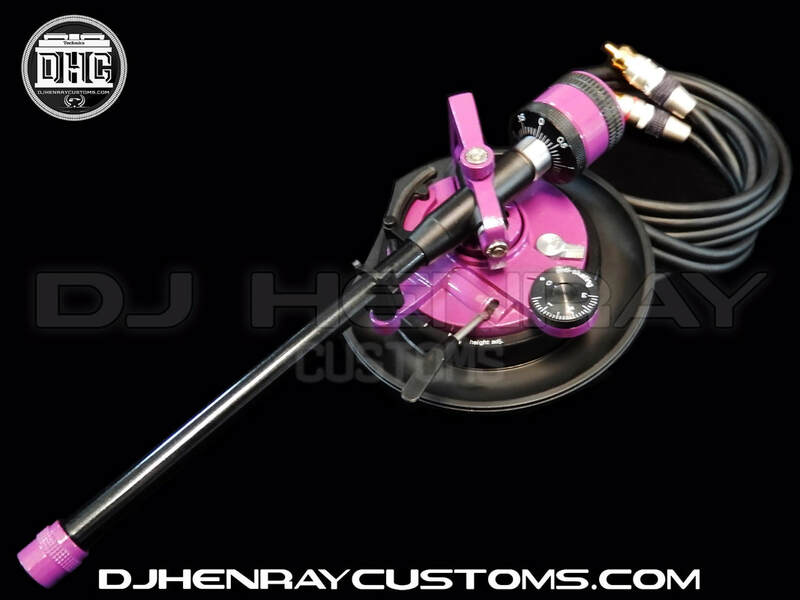 DHC STR8 Purple & Black Powder Coated Tone Arm assembly complete with premium Black 24kt RCA's and internal ground. 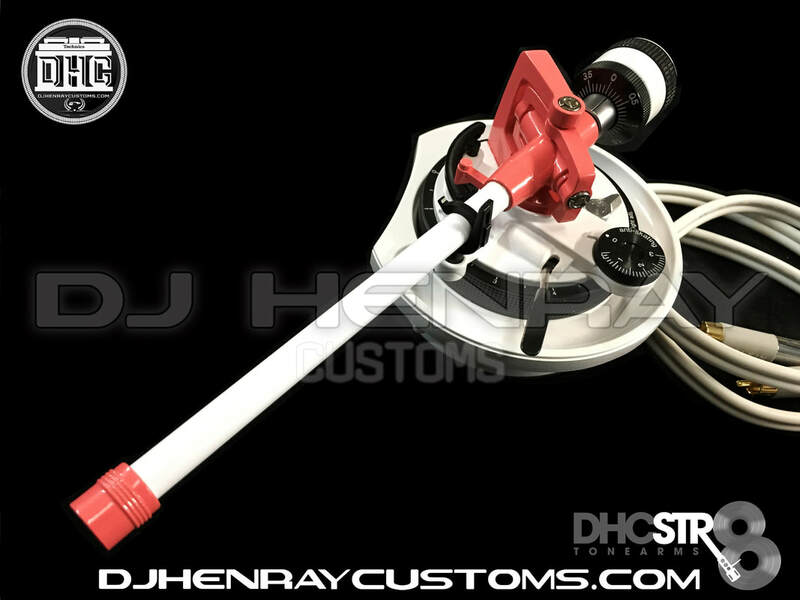 DHC STR8 White & Coral Powder Coated Tone Arm assembly complete with premium White 24kt RCA's and internal ground. 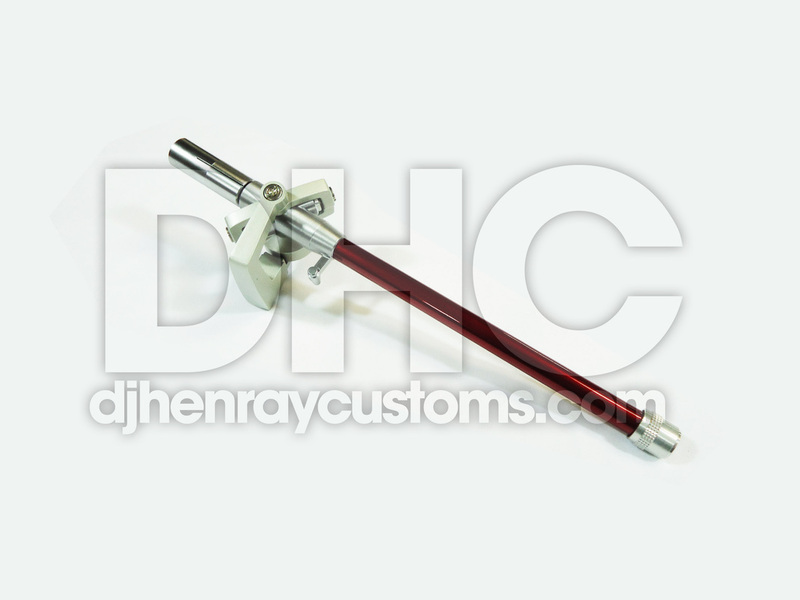 DHC STR8 Red & Black Powder Coated Tone Arm assembly complete with premium Black 24kt RCA's and internal ground. 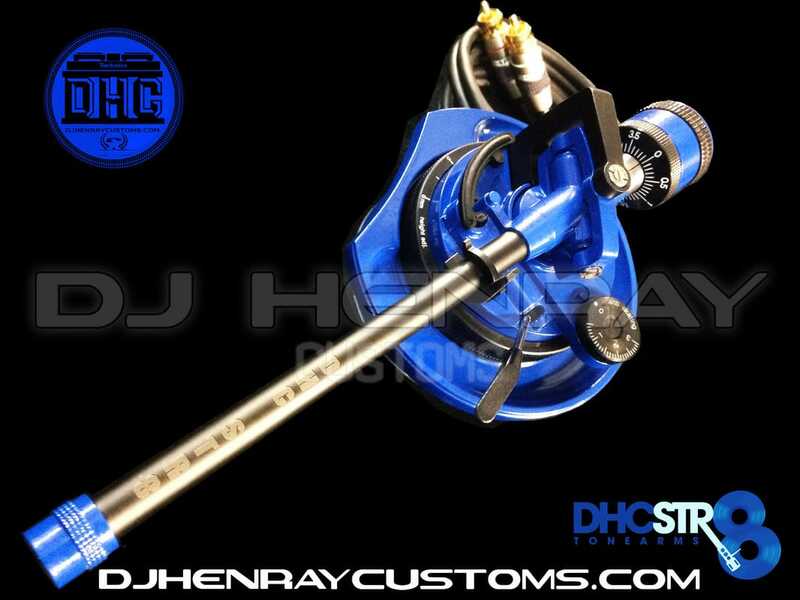 DHC STR8 Blue & Matte Black Powder Coated Tone Arm assembly complete with premium Red 24 kt RCA's and internal ground. 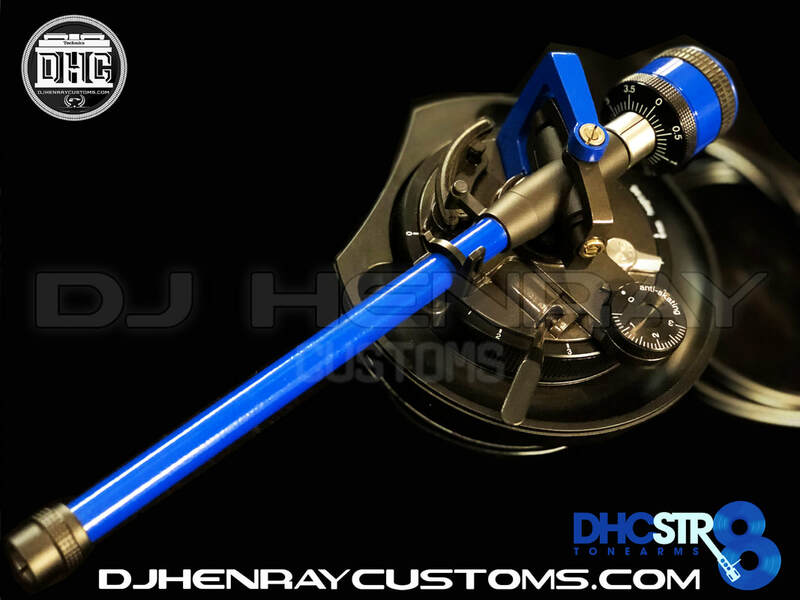 DHC STR8 Black & Blue Powder Coated Laser Eteched Tone Arm assembly complete with premium Black 24kt RCA's and internal ground. 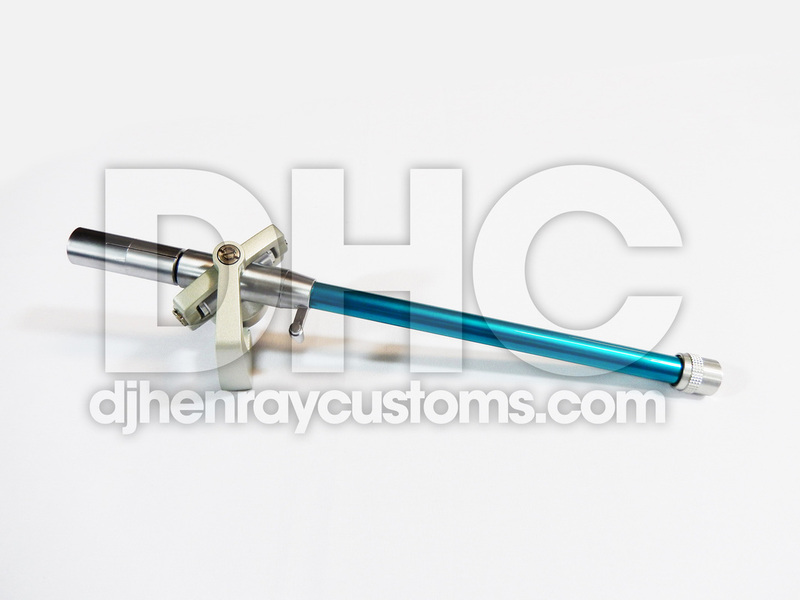 DHC STR8 Blue & White Powder Coated Laser Etched Tone Arm assembly complete with premium White 24kt RCA's and internal ground. 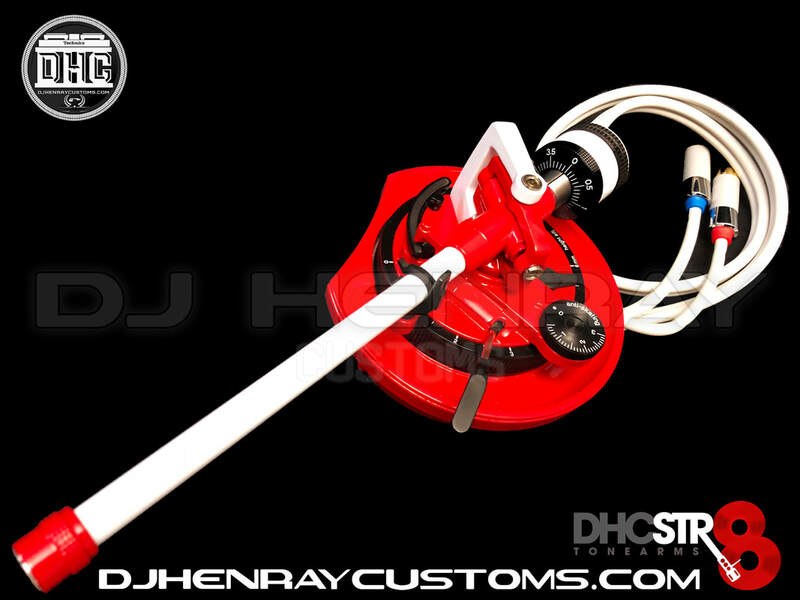 DHC STR8 Red & White Powder Coated Tone Arm assembly complete with premium White 24kt RCA's and internal ground. 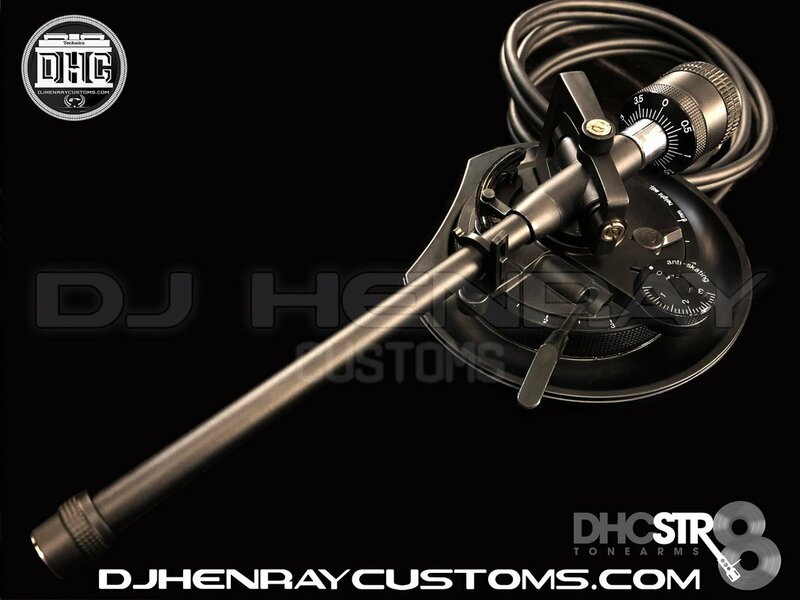 DHC STR8 Murdered Out Powder Coated Black Laser Etched Tone Arm assembly complete with premium Black 24kt RCA's and internal ground. 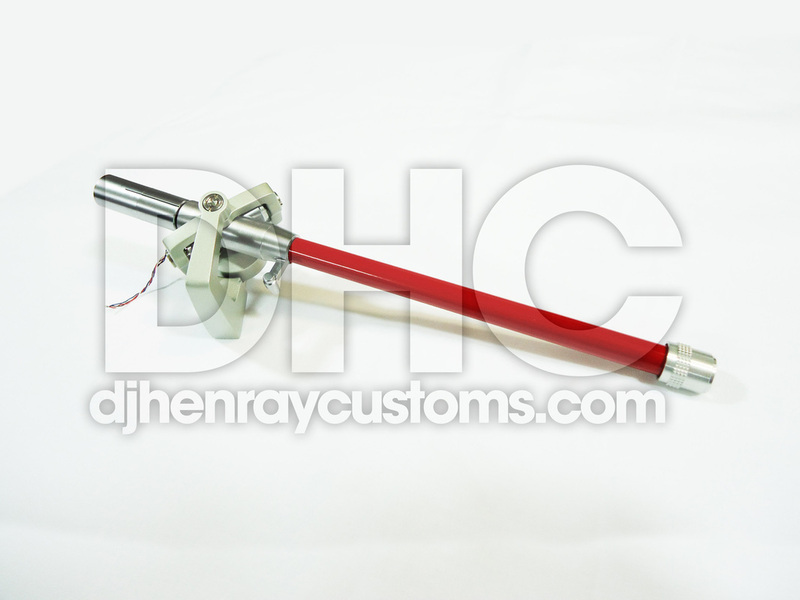 DHC STR8 White & Black Powder Coated Laser Etched Tone Arm assembly complete with premium Black 24kt RCA's and internal ground. 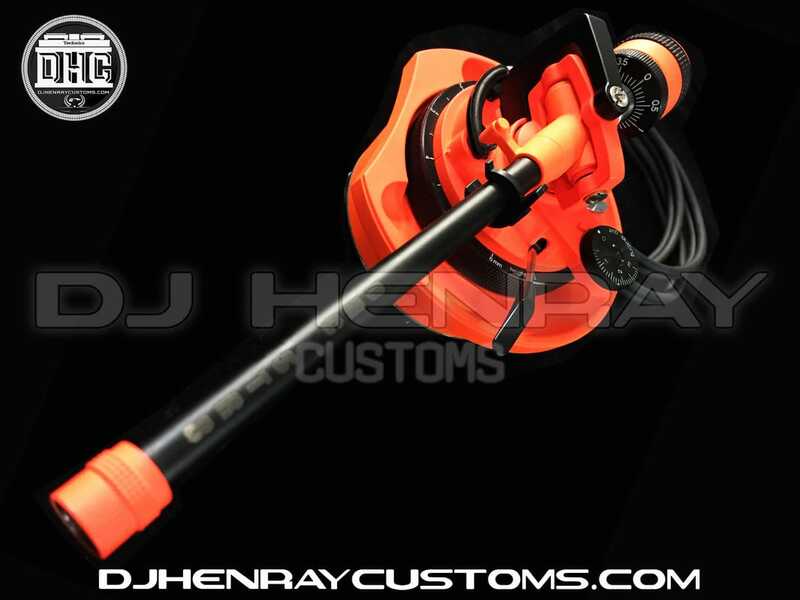 DHC STR8 Bright Orange & Black Powder Coated Laser Etched Tone Arm assembly complete with premium Black 24kt RCA's and internal ground. 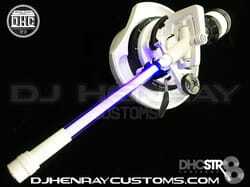 DHC STR8 LED (Purple) White Powder Coated Tone Arm assembly complete with premium White 24kt RCA's and internal ground.